Let's face it, not everyone wants to call a lawyer, but when you need us, Fanger & Associates is here to help you through the difficult and often stressful issues that are a very real part of our lives. 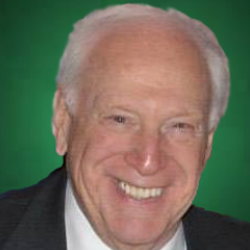 Gerry Davidson has handled Personal Injury and Accident law cases for over 43 years and heads our firms practice team. Call or Email Gerry Today. There is no charge for our initial consultation and there is no obligation. Bankruptcy Is Always A Difficult Decision. Robert Dintaman in our office can walk you through the process and help you determine if its the right choice for you. There is no cost for your initial consultation with Robert. No matter the situation, going through a divorce is always a difficult emotional process. Our office has decades of experience handling divorces for our clients. Call us today as there is no cost for the initial consultation. Often the most difficult battles are over children. Our firm has decades of experience representing parents and even children in custody disputes. Call our office today to discuss the situation, there is never a charge for the initial consultation. Our firm was founded in 1992 on the representation of small and family run businesses. Over the decades we have represented all types of business entities. Call us today to discuss our firm representing your business today! Business Representation By Jeffrey J. Fanger, Esq. Whether its negotiating a multimillion dollar contract, a commercial lease, or resolving board disputes between family members, our firm has the experience you are looking for to represent your business. We handle collections, transactional issues, non-compete and non-disparagement agreements, intellectual property and a host of other business related issue necessary to protect your business in today's economic climate. Family businesses in particular can be at times fraught with difficulties. Our office is experienced in dealing with these competing issues and concerns. We also have a long history of representing non-profit organizations. Call today to discuss your business and its needs. There is never a cost for the initial consultation. Mr. Fanger has worked with the Ohio State Bar Association and Geauga Bar Association to investigate and prosecute cases of Unauthorized Practice of Law. Mr. Fanger is a Trustee on the Geauga County Bar Foundation and a member of the Ohio State Bar Association in the Corporate, Entertainment & Sports and Computer & Technology Law Committees, and is also the Corporate Law Liaison to the Secretary of State. He has served on the Ohio Supreme Court Central UPL Registry Workgroup and the Geauga County Bar Association on the Unauthorized Practice of Law, Constitution, Grievance and the Ipso Jure Committees, and the International Bar Association on the Multi-disciplinary Practices Committee in the Corporate Law and Real Estate sections. Mr. Fanger was recently honored as a Lifetime Fellow of the Ohio State Bar Foundation. 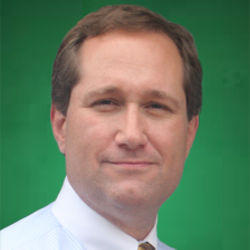 In August of 2012, Jeff was nominated as the Geauga County Democratic candidate for prosecutor. Mr. Davidson was recently honored by the American Institute of Family Law Attorneys as one of the "10 Best" Family Law Attorneys for Client Satisfaction in Ohio. He previously served as the Asst. 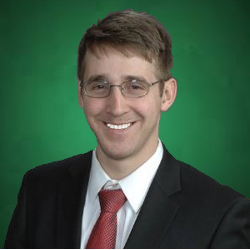 Editor/Business Manager for the Cleveland State Law Review and has been published in the Cleveland State Law Review. Robert Dintaman is an Associate Attorney at Fanger & Associates, where he devotes 90 percent of his practice to bankruptcy for individuals and business for the last two years. He has extensive experience handling bankruptcy and related asset protection techniques, which includes utilizing chapter 7 and chapter 13 bankruptcy case, from both the debtor and creditors' perspective. 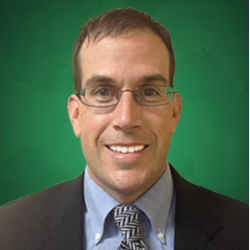 Mr. Weiss is a Member of the Ohio State Bar Association and the Cleveland Metropolitan Bar Association. He is admitted to the United States District Court, Northern District of Ohio. He is a recipient of the William E. Davis Prize for Excellence in Trial Advocacy and has been published in the Case Western Reserve School of Law Journal of International Law.